NOTE: 1/4 share available at this price. There is only one share available in this immaculate Squadron 42 with a pen at RPYC. This highly optioned boat presents in as new condition with white oak timber interior. The accommodation consists of 2 cabins and 2 bathrooms. 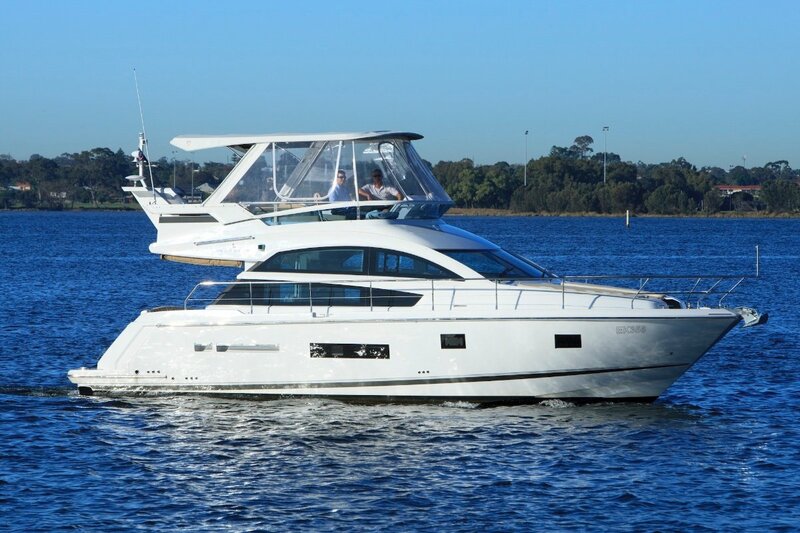 The extensive options fitted include air conditioning, Bose entertainment system, HRO water maker, tender launch system, bow thruster, mood lighting, underwater lights, custom flybridge bimini top with LED lights, BBQ, dual refrigerators to galley, ice maker, battery monitoring and a Brig 275 RIB with Yamaha 8hp.